More than 10 percent of the surface area north of 65 degrees North on Mars has some type of cover by windblown sand dunes. This HiRISE image shows large barchan (crescent-shaped), barchanoid and some smaller dome-shaped dunes. The image is of a location where the first significant change to sand dunes was reported on Mars (Bourke et al, 2008). 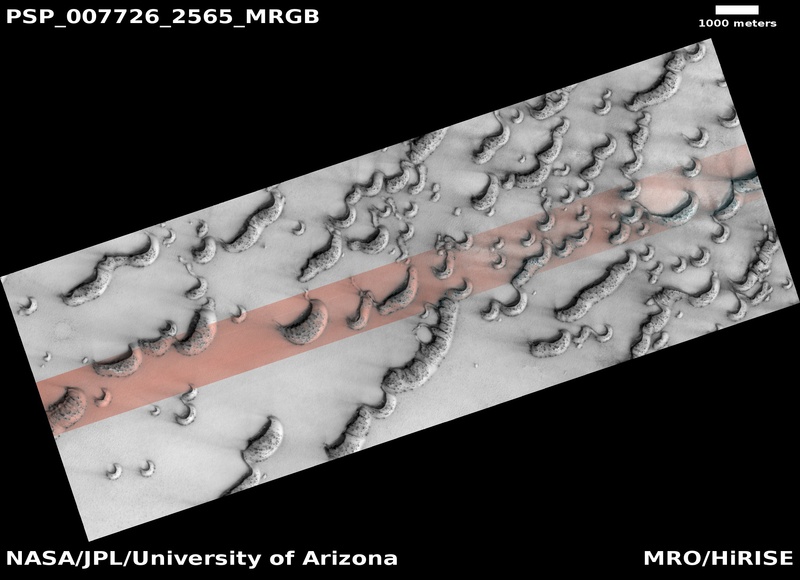 That study used a time series of MOC images taken over a period of three Mars years and showed that two 20 meter-wide dome dunes disappeared and a third shrank by an estimated 15 percent. The HiRISE image confirms that the dune forms no longer exist but, interestingly, suggests that the sediment removal is ongoing as the third dune has been reduced in volume. Other, larger dunes in the location do not show apparent change: more time or more precise measurements to display evidence of change is needed. Alternately, the sediment in the larger dunes may be unavailable for transport at the present time due to induration. 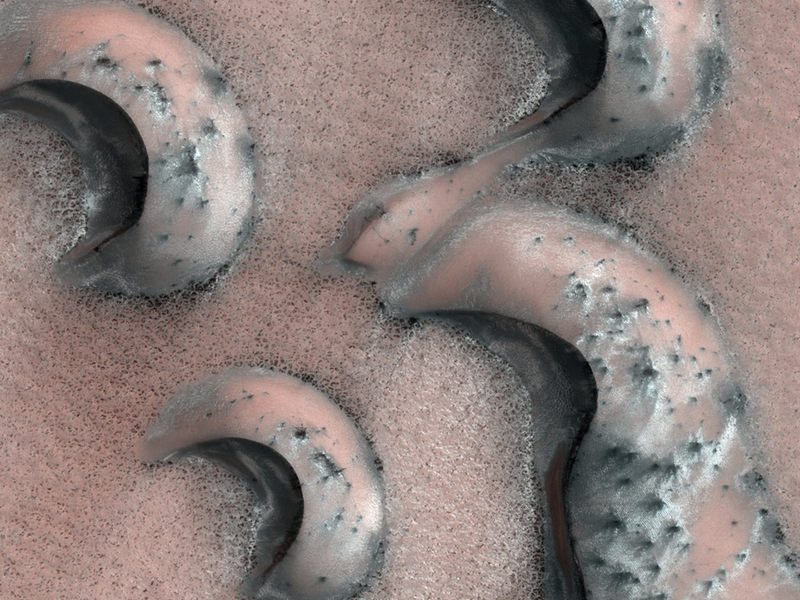 Nevertheless, the change observed in the small dome dunes indicates that not all dunes on Mars are effectively stabilized and immobile.